1.1. The name of this organization shall be “The Asian Federation for Pharmaceutical Sciences”. 1.2. The Federation's office shall be located at Department of Pharmaceutics, Faculty of Pharmacy, Keio University, 1-5-30, Shiba-koen, Minato-ku, Tokyo, 105-8512, Japan. The Asian Federation for Pharmaceutical Sciences (hereinafter referred to as the Federation) is a voluntary association of pharmaceutical scientists, established to advance research in the pharmaceutical sciences in Asia. This can be achieved by promoting cooperation between national, regional and Asian societies or associations which aim at the advancement of pharmaceutical sciences, and by promoting cooperation between and with other pharmaceutical organizations and between individual pharmaceutical scientists. 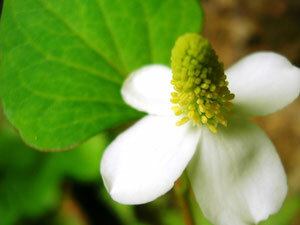 *publication of an Asian Journal of Pharmaceutical Sciences. 2.2. To collect and disseminate information on the activities of the member societies, including the production of a calendar of events. 2.3. To enhance the recognition of the pharmaceutical sciences and to contribute to public policies relevant to the pharmaceutical sciences and drug-related issues at the Asian level. 2.4. To encourage high standards of undergraduate, graduate and postgraduate education and training in the pharmaceutical sciences and to encourage exchange of relevant scientific information as well as exchange of staff and students of teaching and research institutions between the different Asian countries. *Individual Members; these are individuals, who support the objectives of the Federation. *Supporting Members; these are academic institutions, industrial companies and other organizations, which support the objectives of the Federation. *if the Member does not pay the annual dues. 3.3. The affairs of the Federation shall be conducted by a Council through an Executive Committee. 3.4. The Council comprises representatives from each Ordinary Member Society of the Federation together with the delegates of Individual Members and the members of the Executive Committee. Ordinary Member Societies shall nominate before the 1st of January of each year who will be their representatives for the coming year. Ordinary Member Societies with up to 250 members will have one vote at Council, those with 251-1000 members two votes, those with 1001-3000 members three votes, and those with above 3000 members four votes. The number of delegates representing a Member Society at Council will depend on how many votes that are given to a single delegate. As applicable, this is left to each of the Member Societies to decide upon. The body of Individual Members shall elect from among themselves delegates to the Council. The contingent of Individual Members will have one vote for every hundred fee-paying members. All elected delegates may attend the Council. The delegates are elected biennially by written ballot 4 months prior to the AFPS Congress to serve for a term of two years. A delegate may serve for a maximum consecutive period of four years. The Fédération Internationale Pharmaceutique (F.I.P.) shall have observer status in the Council. At the discretion of the President, other organizations may be invited to send an observer. *to propose items to be discussed in Council to the Executive Committee. Such proposals from individual Council members should reach the Executive Director no later than three months prior to the Council meeting. 3.6. There shall be one regular meeting of the Council every two years. Additional meetings may be held at the recommendation of the majority of the Executive Committee or at least 30% of the Council members. The Federation shall not be held responsible for the costs involved for Council members to attend any Council meeting. 3.7. Except when explicitly stated otherwise in these Statutes, any matter to be decided by the Council shall be on the basis of a simple majority vote of those present and voting at a meeting of the Council. *five Vice Presidents from Ordinary Member Societies. Each member of the Executive Committee shall be nominated by the Council and elected by secret ballot at a meeting of the Council. Each member is elected for a term of two years, and the Treasurer and the five Vice Presidents from Ordinary Member Societies may be re-elected for a maximum of two successive terms. No more than two members of the Executive Committee may originate from the same country. The Immediate Past-President shall serve as a co-opted member with full voting rights for a period of up to two years. The Executive Director (see Section 3.10, below) is an ex officio member of this Committee, without voting rights. 3.9. The Executive Committee meets as often as it deems necessary for the interest of the Federation. The Federation will to the extent possible assist in bearing the costs involved to attend meetings of the Executive Committee. The Executive Committee shall make decisions on the basis of majority vote of those members present (not less than three) at a meeting. In case of a draw, the President casts the deciding vote. 3.10. The President shall be responsible for coordinating the activities and affairs of the Federation and shall normally represent the Federation. The President shall call and chair the meetings of the Executive Committee and of the Council. The President-Elect assists the President in his or her activities and may deputize for the President whenever necessary. * collect and distribute information relevant for the objectives of the Federation from and to the members of the Federation. * pay all obligations and debts. The Financial Account of the Treasurer shall be audited annually by a legally authorized auditor. The approval of the Financial Account by the Council will relieve the Executive Committee and auditor from all subsequent financial responsibility. * render annually a complete Financial Account and submit a proposed budget to the Executive Committee for approval by Council. 3.13. AFPS operating procedures will be defined by a set of Internal Operating Procedures, produced by the Executive Committee. 4.2. Pay their annual dues; such payment shall be made before the 1st of February each year. The annual dues will be set by the Council each year. 4.4. Publicize on a regular basis the activities of the Federation as received from the Executive Director, including distribution of the News-letter to individual members of the Member Society. 5.1. 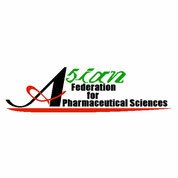 The Federation shall organize an Asian Congress of Pharmaceutical Sciences normally every two years. The venues of these congresses will be selected by the Executive Committee and require approval by the Council. 5.2. The Federation may organize meetings on relevant topics of multidisciplinary aspects of drug research. 5.3. Joint meetings between member societies, as well as other relevant meetings, may be organized under the auspices of the Federation. This requires the approval of the Executive Committee. Finances of the Federation shall be obtained from membership dues and donations, as well as from other sources approved by the Executive Committee. The Treasurer, together with the Executive Director, shall prepare an annual budget in US dollars to be approved by the Council in the year prior to the budget year. The fiscal year of the Federation shall coincide with the calendar year. The President is the legal representative of the Federation in its dealings with other organizations. The President may authorize the President-Elect or Executive Director to represent him or her in such dealings. 1. This statutes shall become effective as of the day that the Foundation is established (October 26, 2007). 3. The Founder President may serve as a co-opted Executive Committee member without voting right for an appropriate period.